3 Trends Shaping the Canadian Data Centre Market - Eclipse Technology Solutions Inc.
Corporate-run data centres are in decline, yet the need for data centres continues to rise in Canada. There has been a shift in the way that IT is delivered – cloud technology has made compute and storage so much more efficient, but the amount and types of data that need to be stored continue to grow and diversify astronomically, adding stress to even the best data centres. As a result, businesses are looking for new ways to use data centre services to meet their needs today and into the future. Recently, we’ve seen the arrival of big players in the cloud – Microsoft, Amazon and Google build (or plan to build) data centres to service Canadian customers. For businesses, this has helped to alleviate challenges around data sovereignty, compliance and security. However, Canadian businesses are not shifting entirely to the cloud. Since 2014, IDC Canada has evaluated the Canadian data centre market and, in their most recent report, found that Canadian companies are moving to a combination of cloud technologies and traditional data centres. Today, there are less corporate-run data centres than there were in 2014, and over this time, net floor space for this purpose has decreased by 7.5%. IDC has found that Canadian data centres are getting older (with 40% over ten years old), and the frequency at which they are upgraded or expanded is decreasing. Companies are not eager invest in on-premises infrastructure. But the need for data centres continues to grow. The following two trends answer how Canadian businesses are leveraging data centre services. The IDC report shows that Canadian businesses are adopting multiple cloud services and integrating infrastructure-as-a-service (IaaS) with their on-premises data centres. This IT delivery model is known as a hybrid platform. According to Gartner, there is a massive shift to hybrid infrastructure services already underway. By 2020, 90% of organizations will adopt hybrid infrastructure to increase efficiency and improve costs. Instead of investing in on-premises data centres, IDC found that Canadian businesses are shifting workloads to hosting vendors that offer managed hosting, colocation and cloud services. Third-party Canadian vendors have actively prepared for this shift, according to the report. Over one million square feet of data centre space has been built in Canada, with an additional 100W of power added to the market over the past three years. What’s more, IDC predicts that in the next four years, the number of commercial data centres will increase by 14% worldwide. By 2020, this will increase the space available for colocation, hosting and cloud services twofold. 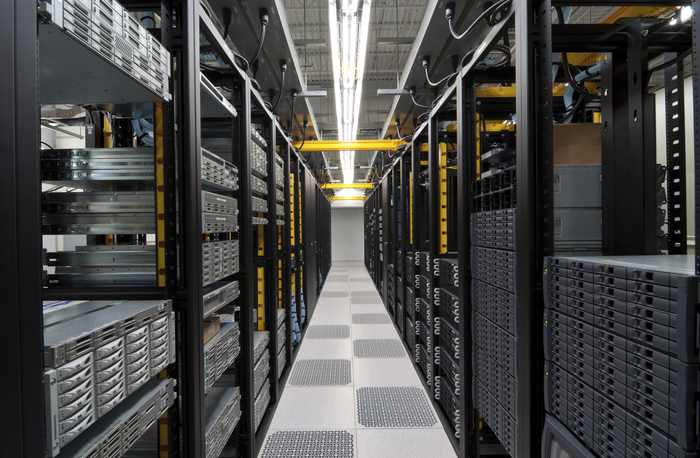 How do these trends impact your data centre? If you want to take the next step and optimize your environment for hybrid IT, get in touch today. Eclipse specializes in data centre designs that help organizations achieve a hosted data centre model with the industry’s best server, networking and data centre partners. Learn more here.